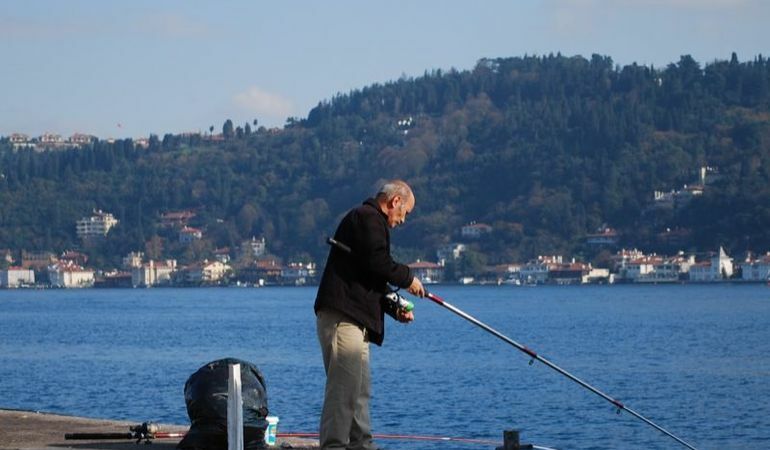 Arnavutköy has the charm of a peaceful fishing village. 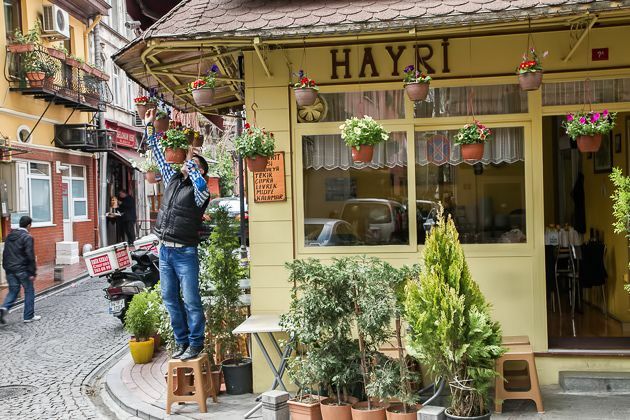 It is famous for its wooden Ottoman mansions, cute side streets and seafood restaurants. 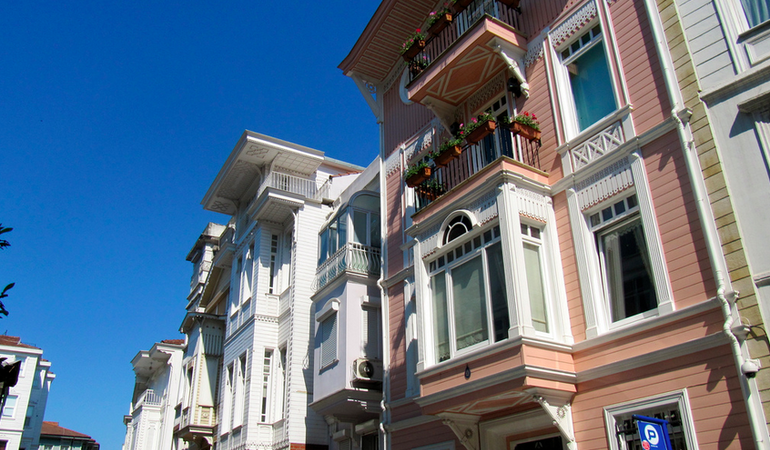 One of the pretty suburbs that line the Bosphorus coastline on the European side. 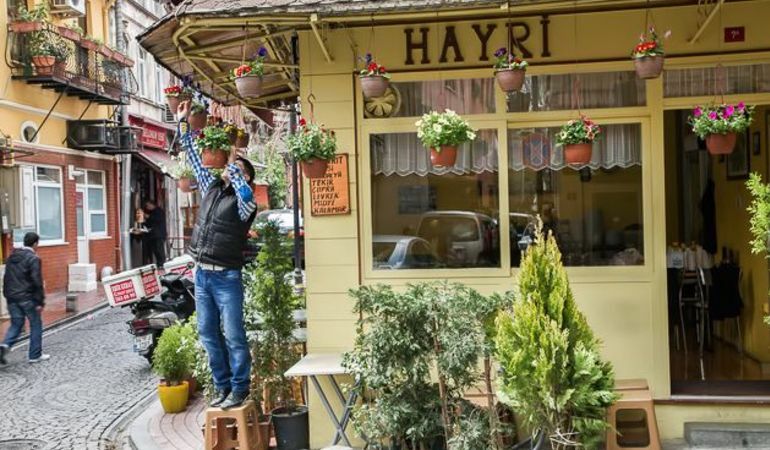 Arnavutköy is known locally for its wooden yalis (Ottoman wooden mansions), proliferation of seafood restaurants, and attractive side streets. One of the most picturesque of all of the city’s neighborhoods, it retains a charming village feel. 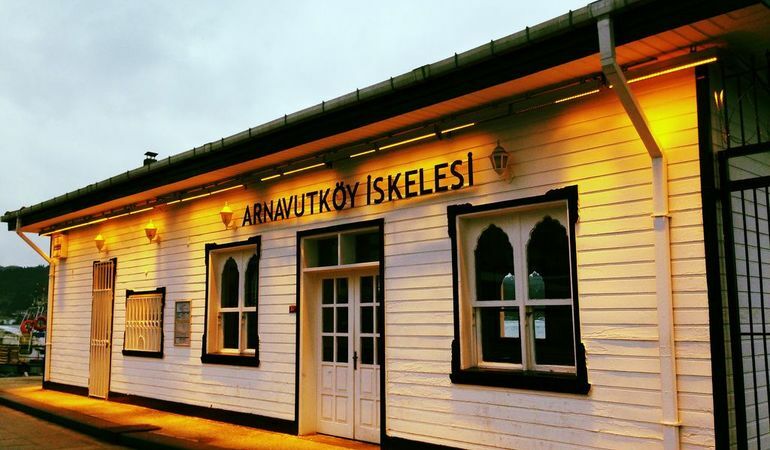 Arnavutköy history is multicultural, and the population was once made up of mostly of Armenian, Greek and Jewish communities. 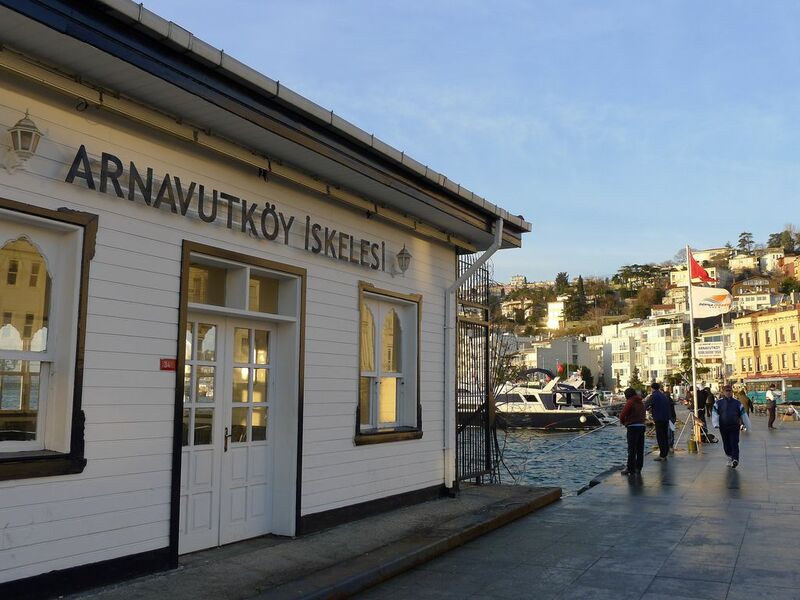 Arnavut köy literally means ‘Albanian village’ in Turkish, and stems from when Sultan Abdülmecid brought men from Albania to Istanbul in the 19th century, to help pave the city’s streets. They were settled here, which is how it got its name. Are there any good restaurants in Arnavutköy? 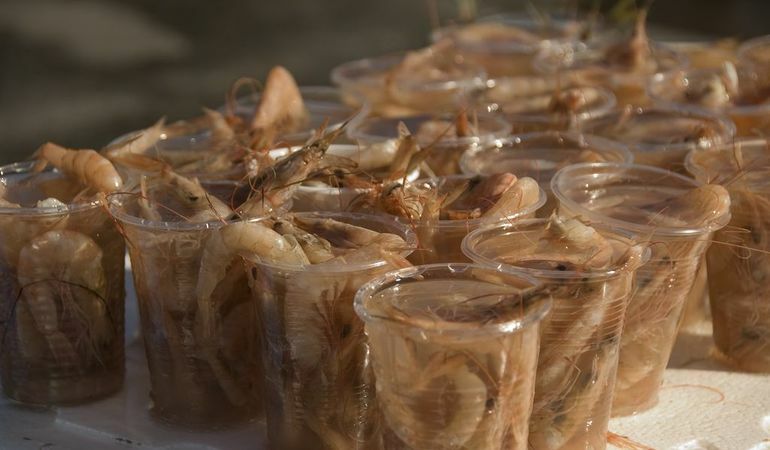 The passion for fishing in Arnavutköy (a hobby you can still see being practiced on the coastal promenade) has resulted in a number of excellent seafood restaurants. Some of the most popular are Sur Balık, Adem Baba, Hayri Balık and Arnavutköy Balıkçısı. If you’re not in the mood for fish, there is also the outstanding Italian restaurant, Antica Locanda, and the famous casual meatball joint, Köfteci Ali Baba. 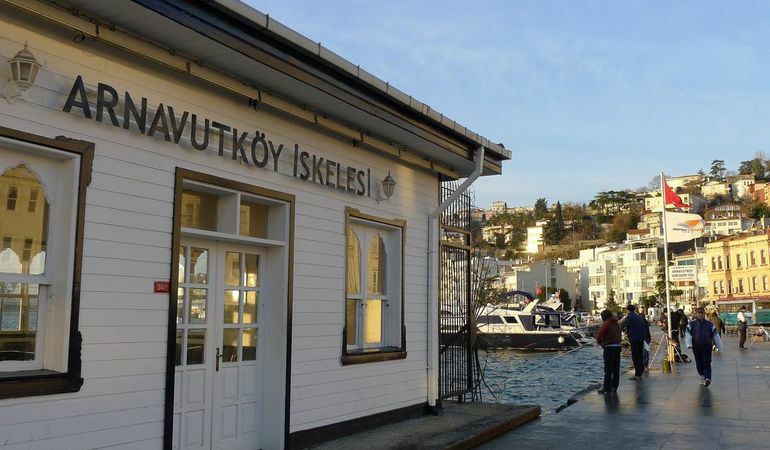 What is there to see in Arnavutköy? Aside from the fine examples of art nouveau architecture present in the waterfront mansions and the boat moorings carved out beneath them, there a few other sights of note, namely the enormous Greek Orthodox Church of Taksiarkis (Ayos Taksiarches) which contains an ayazma (sacred spring) in a nearby chapel. 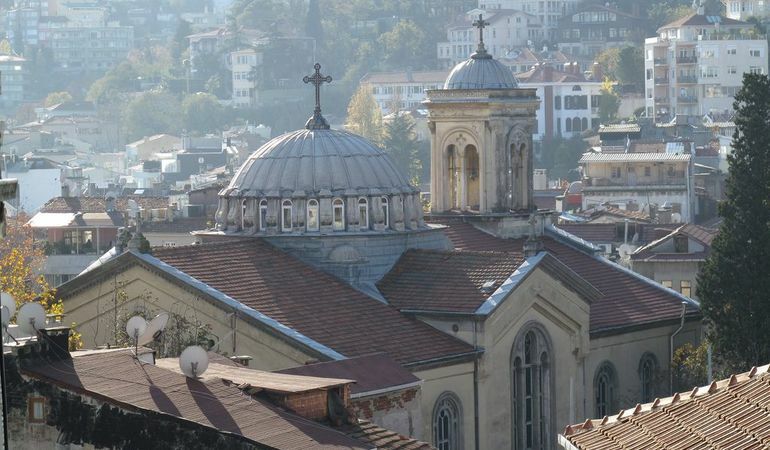 Further inland (towards Etiler on along Körkadı Sokak) you will find the Greek Orthodox Church of Hagios Elias (Elijah). 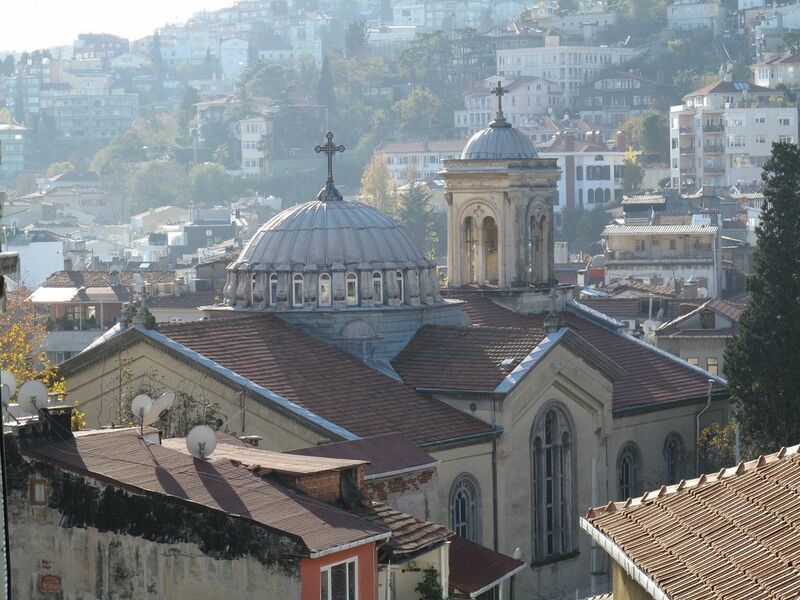 Both churches date back to the late 19th century and still serve a small Greek community that lives in the area. There is also the Tevfikiye Cami, that was built in 1832 and the ruins of a synagogue – the close proximity of these, demonstrate the harmonious nature of the communities that lived here. Also in Arnavutkoy, is Istanbul’s most prestigious high school, Robert College – an American school, established in 1831, with an impressive list of alumni that includes the novelist Orhan Pamuk, Rahmi Koç (who founded the Rahmi M. Koç museum), Suna Kıraç (founder of Pera Museum), along with three Turkish Prime Ministers and four Bulgarian Prime Ministers. Also in the area is Boğaziçi University. What is the Arnavutköy strawberry? The area is also known for the famed Arnavutköy strawberry (also known as the Ottoman strawberry). These small pale pink gems were so in demand, that even just a few decades ago 40 hectares (100 acres) of Arnavutköy were covered in strawberry fields that produced between 25,000 and 35,000 kilos of Ottoman strawberries and between 40,000 and 45,000kg of European strawberries each year. Now, they are much rarer and mostly grown in the Karadeniz Ereğli region, on the Black Sea coast. The easiest way, is to get one of the buses that run up the coast from Taksim (40,40T,42T) or Kabataş (22, 22RE, 25E). 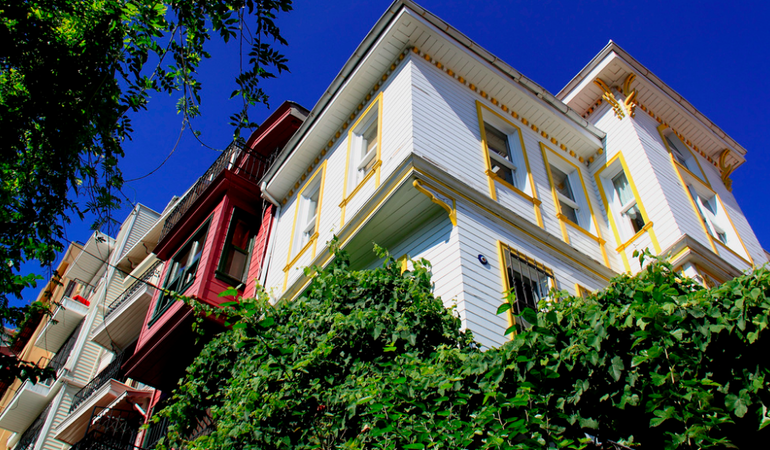 Other neighborhoods worth visiting on the coast are Ortaköy Kuruçeşme, Bebek, Emirgan İstinye, Yeniköy, and Tarabya. 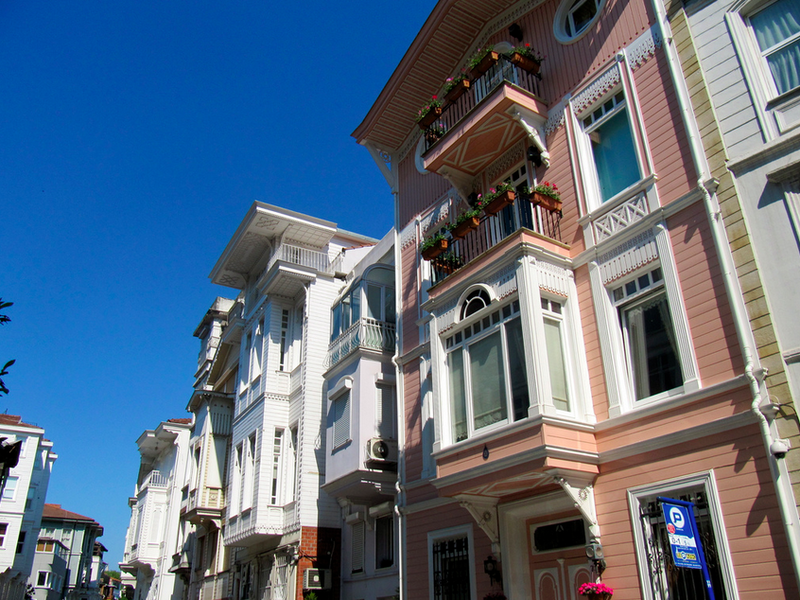 It is famous for its wooden Ottoman mansions, cute side streets and seafood restaurants.